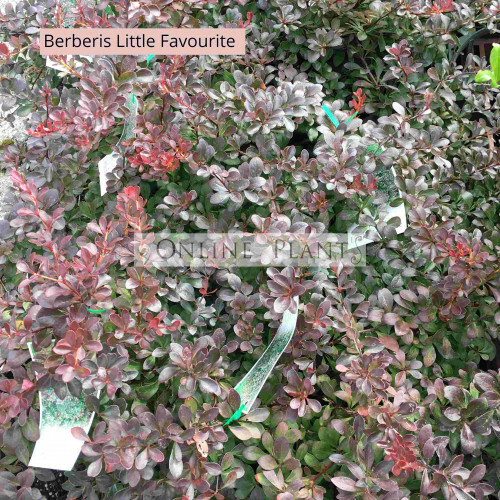 Berberis Little Favourite is compact shrubs with interesting foliage and stunning autumn colour. 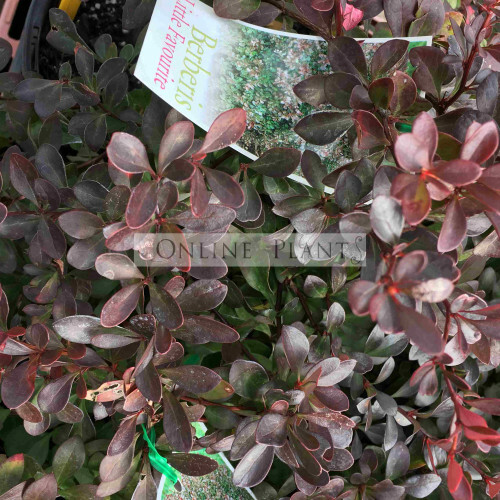 They make an excellent dwarf shrub for low borders/hedges or planted in containers for balcony planting. Folaige of little favourite Berberis is a purple/red colour, turning orange in Autumn. Small cream flowers in Spring..
Grows to 1mt at maturity if left unpruned. Plant Berberis in humus rich, well drained soil. Ideally plant in a morning sun to lightly shaded position for best foliage colour. The branches have spiny shoots which is where it gets its common name, Japanese Barberry.